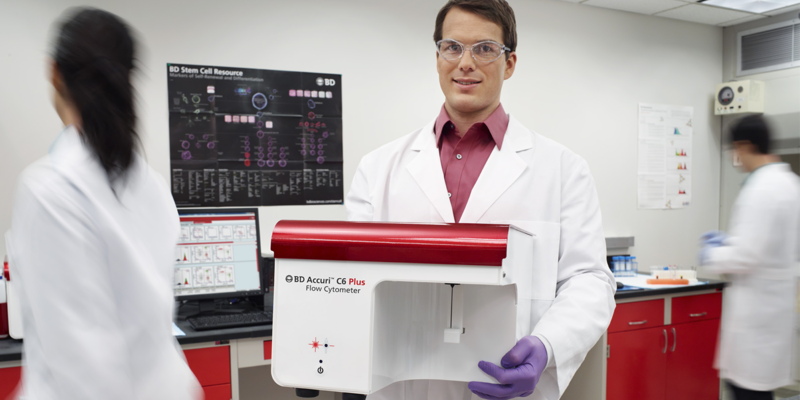 Take a leap in flow cytometry with the BD Accuri™ C6 Plus. 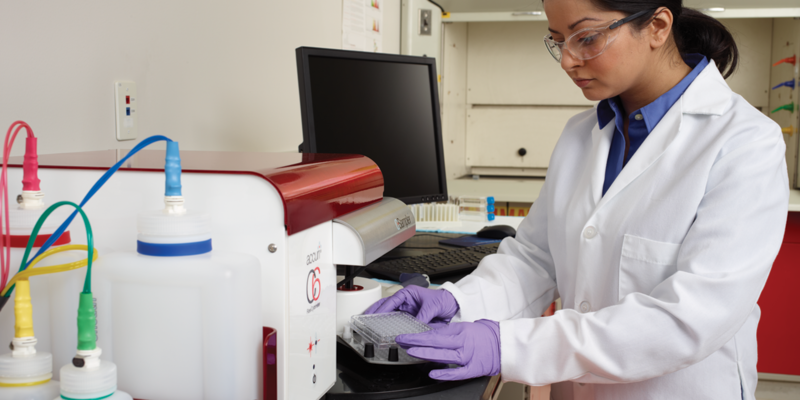 This portable and compact system holds the analytical power of a cytometer twice its size. 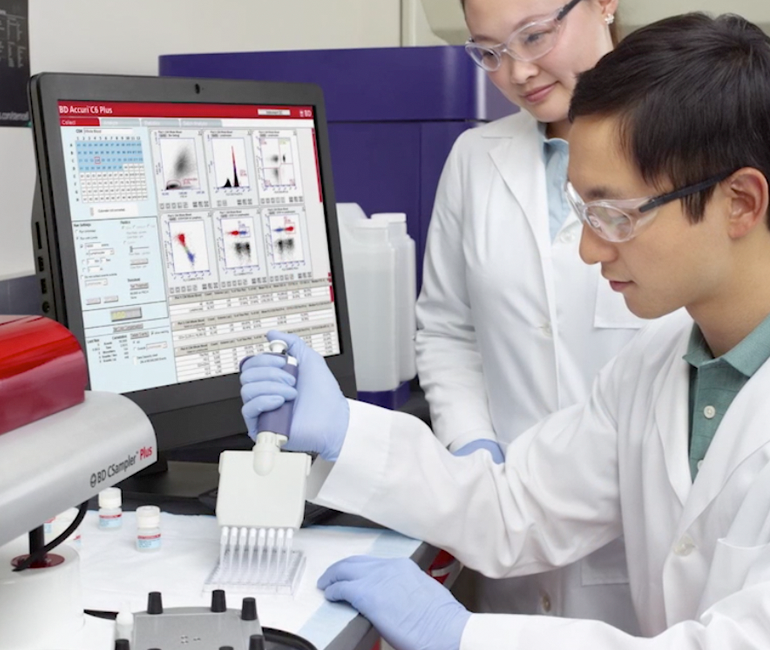 Cited in over 9,000 publications, the BD Accuri C6 Plus enables you to go beyond your current research potential. The BD Accuri™ C6 Plus has been leveraged in a diverse set of applications and experiments. Read all about it here. SMALL, BUT MIGHTY. The BD Accuri C6 Plus only weighs only 30 pounds and has a compact footprint of 11 x 14.75 x 16.5 inches, but empowers a wide array of applications including immunology, cell and cancer biology, plant and microbiology, and industrial applications. CONVENIENCE IN YOUR LAB. The BD Accuri C6 Plus offers plug-and-play simplicity and walk-away capabilities thanks to turnkey, automated software. It also includes built-in preventative maintenance features that maximize run time. For a limited time only, purchase a BD Accuri C6 Plus (or a BD Accuri C6 Plus and CSampler Plus) in combination with an extra year of warranty for a promotional price. 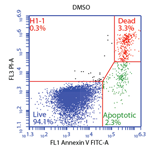 Breaking barriers to discovery starts with the right reagents and panels. 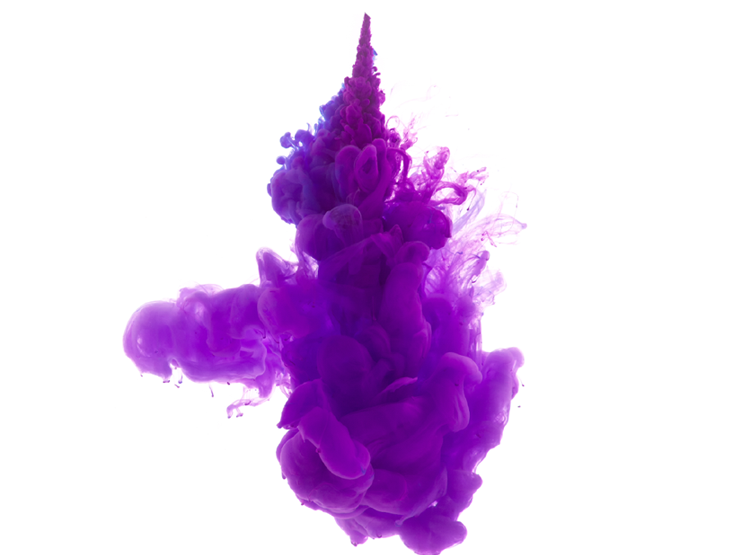 Shine light on new discoveries with brilliantly bright dyes, custom reagent offerings and proven tools to support your research. BD pharmacy products are designed to enhance medication preparation and delivery while helping facilitate compliance. By working closely with pharmaceutical and biotech companies worldwide, we are continuing to help reduce medication errors and improve patient safety. We also provide pharmacy disposal solutions to help ensure the safe disposal of various types of sharps. 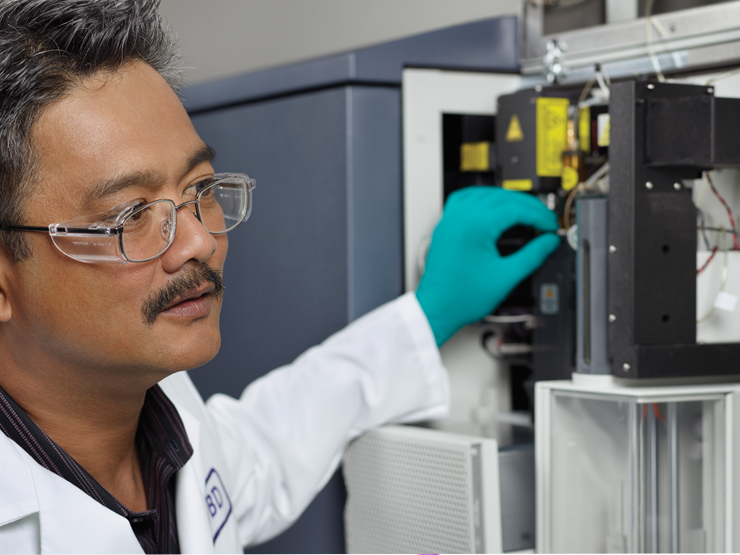 Factory-trained flow cytometry experts are available for field service, diverse application support, training and assistance—so you can focus on what matters most in your lab. Occupational exposure to bloodborne pathogens from needlesticks and other sharps injuries is a serious problem that is not limited to hospitals. Any worker handling sharp devices or equipment—such as scalpels, sutures, hypodermic needles, blood collection devices or phlebotomy devices—is at risk for sharps-related injuries. By working with BD products, physician offices can take the first course of action toward providing safe sharps disposal and addressing needlestick injury from injections. BD is an industry leader in safety, offering a comprehensive line of safety-engineered medical devices. We are committed to working with our customers to find real solutions that address sharps injuries and exposure to hazardous drugs. 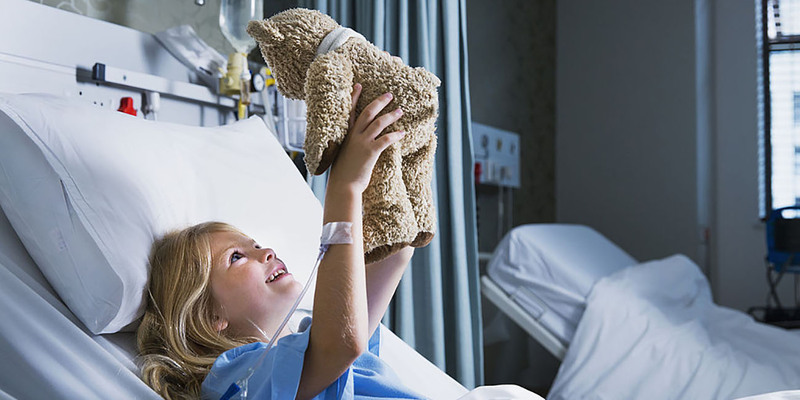 As a leader, we also offer various resources on safety for the healthcare industry. Review sample data from past experiments here. Want to discuss your research with a flow cytometry expert? * How did you first hear about Ask BD? A monthly electronic newsletter featuring new products, tools, and applications for the BD Accuri™ C6 and BD Accuri™ C6 Plus flow cytometers. A periodic email featuring BD Biosciences webinars, trade shows, training opportunities and other invitation-only events. Offer valid for US customers only. This offer is not valid for distributor or third-party orders and cannot be combined with any other offers. Promotional pricing for the standard BD Accuri C6 Plus flow cytometer or the standard BD Accuri C6 Plus flow cytometer with the BD CSampler Plus is only valid if one extra year of warranty is also purchased. Discount is non-transferable and cannot be combined with other offers. Offer valid for a limited time only.